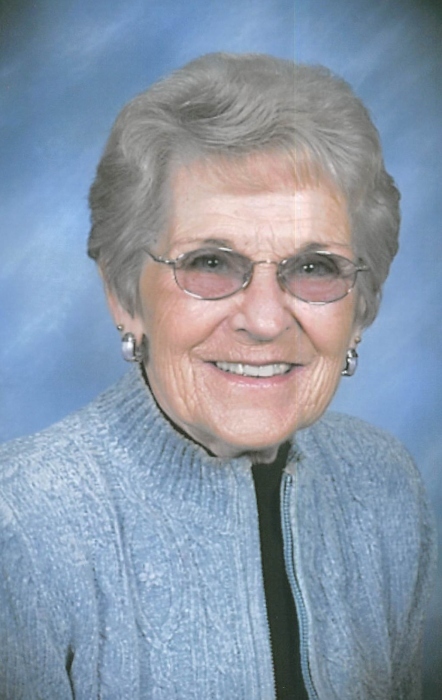 Obituary for Marilyn R. (Cereghin) Steffens | Schaffer Funeral Home, Inc.
Marilyn R. Steffens, 85, of Defiance, passed away peacefully on Sunday, June 24, 2018 at her home with her family by her side. She was born on December 21, 1932 to the late Robert and Salome (Gustwiller) Cereghin in Defiance. In 1952 she married Richard F. Steffens, who preceded her in death in 2006. Marilyn was a faithful member of St. John Lutheran Church. Her leisure time was spent reading, fishing, painting, making hand crafts, and spending time at the lake. Her greatest joy was spending time with her family. Together, during their marriage of 54 years, Marilyn and Richard raised three children, Rick (Christine) Steffens of Antwerp, Kathy (Jeff) Brown of Defiance, and Tammy Steffens of Defiance. She also leaves behind six grandchildren; Ryan Brown, Chad McCabe, Nathan Brown, Lindsay Franklin, Stefanie McKeen, and Luke Steffens, ten great-grandchildren, four step-grandchildren, brother, Robert "Bud" Cereghin of Defiance, and her special dog, "Katie". In addition to her parents, she was preceded in death by her husband, Richard F. Steffens, brother, David Cereghin and sister, Sue Ankney. Visitation will be held from 2:00 to 8:00 pm on Wednesday, June 27, 2018 at Schaffer Funeral Home in Defiance, and from 9:00 to 10:00 am on Thursday morning at the church. Funeral services will be held at 10:00 am on Thursday, June 28th at St. John Lutheran Church, with Rev. Donald L. Luhring officiating. Burial will follow the service at Riverview Memory Gardens.